Outsourced Sales: What Does Outsourced Sales Mean? 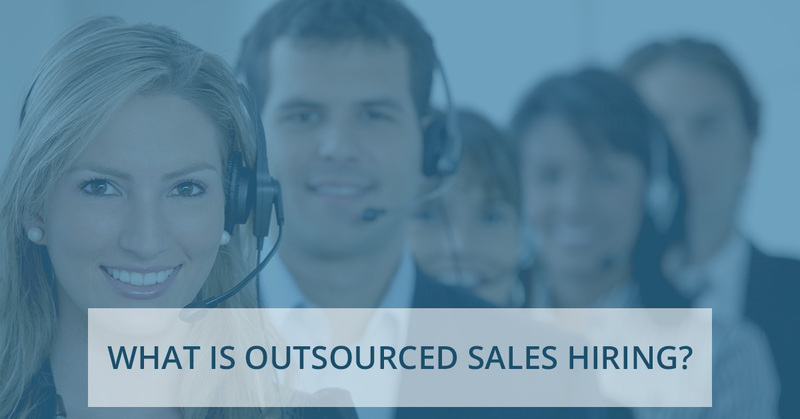 What Is Outsourced Sales Hiring? Whether you’re a one-man shop or an enterprise-level company, if your product or service isn’t selling, you don’t have a business. Sales is the lifeblood of your business growth, and being able to sell effectively is a skill that every business person must possess. The better you are at selling (whether personally or as a company), the more likely it is that you will succeed. If you don’t have a top line, you don’t have a bottom line. However, knowing that you need to sell is not the same as selling. Recruiting, hiring, and training top sales talent can quickly become one of the most difficult parts of your job, and if it is done poorly, it can be costly to your company as well. This is why increasing numbers of companies are turning to the sales outsourcing services at Access2Sales for all the nitty gritty details of recruiting and hiring sales representatives. Sales outsourcing means that someone else handles all the logistics while you get the sales. It means that someone else is handling your salesperson’s payroll and benefits so that you can take those off your plate. It means that you don’t have to beat the bushes on indeed.com and other job sites to find salespeople. It means that you get all the benefits of having a salesperson with none of the drawbacks of costly consumption of your HR bandwidth. It’s like Uber for sales. Instead of having to drive yourself across town, you call a Uber and get a lift so that you can work on your computer instead of fighting with traffic. Only in the case of Access2Sales, it’s like calling a Uber and getting your own professional chauffeur, someone who drives only you. The sales representative or sales team that we find for you will work only for you, carry your business card, and appear to your customers as if they were employees of your company. Access2Sales is here to make sure that your company succeeds when it comes to selling your product or service. Whether you need a sales professional who can sell $20 monthly memberships to your software or $20,000 pieces of machinery, we can connect you with the people who can get the job done. Try Access2Sales today to fill the sales roles you have open in your company. Contact us to get started, and enjoy that “Uber chauffeur” who comes along!